Fire Rated Doors can keep fire and smoke out of other occupied areas of the building to minimize risk of more extensive damage and play a critical role in building safety. Whether it’s an industrial or commercial application fire risk can be a concern for safety and human life. Preparing for emergencies with fire doors is an excellent way to slow the spread of fire, potentially saving lives. Precision Commercial Door Service of Spokane provides for your facility's fire door safety and ongoing compliance with requirements. Industrial applications that generate smoke or fumes can also be tamed with fire rated doors to minimize discomfort for employees. The added insulation and sealing of a fire door can improve working condition in many manufacturing environments by minimizing odors, fumes, or heat transfer between building areas. Doors can also be triggered to automatically shut in the presence of extreme heat the slightest detection of smoke with motorized operation and sensing equipment. A “Drop Test” is required to confirm that your fire doors will close automatically during a fire emergency. National Fire Protection Association standards NFPA 80 require business owners, property and facility managers to have their rolling and sliding fire doors inspected and tested annually, and to maintain written documentation of these inspections. Precision Commercial Door Service of Spokane will perform the required Inspection, Testing and Certification per required NFPA 80 Standards. We help building owners and managers stay in compliance with NFPA 80 standards, while maintaining the proper operation of your facilities rolling and sliding fire doors. Properly operating fire doors help protect property and save lives in the event of an emergency. Faulty, damaged or inoperative fire doors can lead to tragic results and may subject building owners to increased legal liability and ruinous losses. Precision Commercial Door Service provides for your facility’s ongoing compliance with NFPA 80 Section requirements, while establishing and maintaining records for your facility on an annual basis. Precision Commercial Door Service offers a reminder service for our fire door customers. Prior to the anniversary of your certification, we will call to remind you that your doors will need their annual test, and to set up an appointment for our technicians. This gives busy business owners, property and facility managers one less thing to worry about. 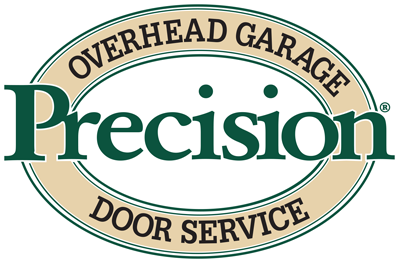 This complementary service is another reason why Precision Commercial Door Service is Keeping Your Doors Open for Business. Rely on Precision technicians to repair and maintain your business's fire doors.